The National Basketball Association has passed the halfway point in the regular season, and division standings are starting to take place. While the Eastern Conference has a tendency to be more cut-and-dry in terms of who the superior teams are, the Western Conference is still very much up in the air. For example, the fourteenth seed Memphis Grizzlies would currently just miss playoffs as the tenth seed in the East. The Portland Trail Blazers fare a bit better. While they are the third in the Northwest Division, that still puts them at fourth in the overall conference list. Their 27-19 record is better than the star-studded Los Angeles Lakers, the James Harden-led Houston Rockets and the legendary San Antonio Spurs coach Greg Popovich. They are also only half-a-game behind the Oklahoma City Thunder who sit in third. The Blazers are on a bit of a hot streak, having won seven of their last ten games. This includes their victory over the Cleveland Cavaliers capping off a five-game home win streak. This time frame also incorporates a 110-101 victory over the Rockets and a narrow 111-109 loss to the Thunder. In fact, their five-game winning streak at home gives Portland 19 home wins this season, which leads the NBA. 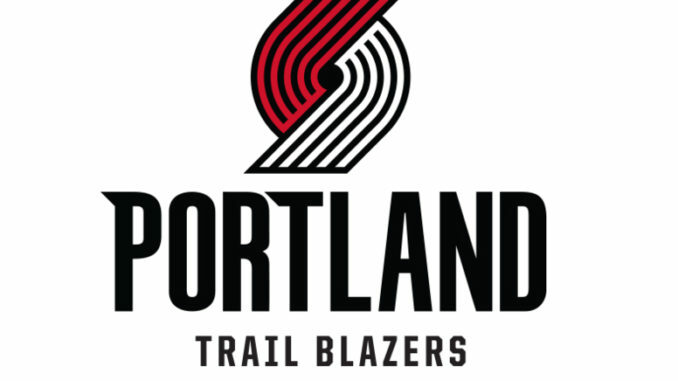 When people talk about the Trail Blazers, there are three people highlighting the discussion. Point Guard Damian Lillard has long since been the star of the team, and continues to lead the squad with 26 points and 6.1 rebounds, on top of an astounding 90 free throw percentage. His point totals place him at the top ten in the NBA. C.J. McCollum has been a welcome addition to the team with several good seasons. He sits right behind Lillard at 20.6 points per game. Center Jusuf Nurkic has had a delightful year as well, averaging 14.8 points and 10.4 rebounds per game. His total rebounds are good for the top 15 in the NBA. To continue highlighting a career year, he landed a triple-double in their last game against the Cavaliers. It was as close as the achievement could get, as his final line in the game was 10 points, 10 rebounds and 10 assists. Currently, the Blazers are lining up a nice homestand of four straight games. This includes a shot at the Atlanta Hawks, Miami Heat and Spurs, while giving them a chance to right their 0-2 season record against the Utah Jazz on Jan. 30. Overall, the Trail Blazers are putting together a better season than the last couple, and could make a run for a high playoff seed. The week 14 power rankings from the NBA website lists the Blazers at ninth overall, with room to grow. However, the titans of the League like the Warriors, Nuggets, Bucks and Raptors still stand in the way.